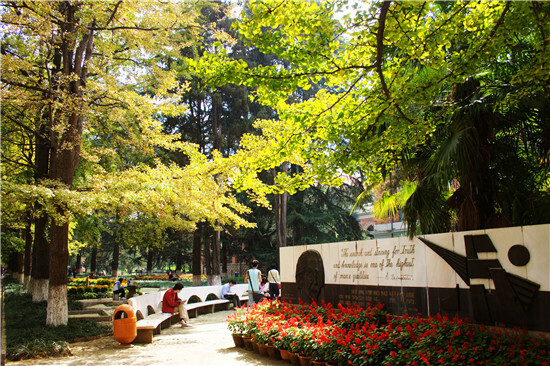 Yunnan University’s (YNU) history can be traced back to 1922, when it went by the name of Private Donglu University. In 1934, the name was changed to Provincial Yunnan University, and in 1938, it was changed to National Yunnan University. 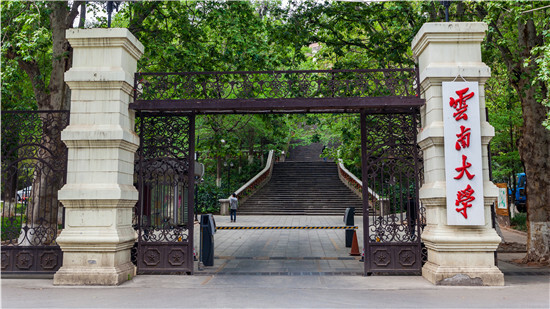 The university is one of earliest comprehensive universities in the western border areas of China. In 1937, the well-known mathematician and educator Xiong Qinglai took up the post of university president. Since then, a great number of prestigious scholars have come to work at the university, blazing a trail which led to the university’s glory days. In the 1940s, YNU had already evolved into a multifaceted university offering courses on literature, law, science, engineering, agriculture, and medicine, and it even developed a reputation abroad. In 1946, YNU was listed among the top 15 most influential Chinese universities in the world, according to the Encyclopedia Britannica. In the 1950s, YNU’s departments were reorganized. The aviation, architectural construction, law, and railway construction departments were incorporated into the Beijing Aeronautical and Astronautical Institute, Sichuan University, the Southwest College of Political Science and Law, and Changsha Railway College. 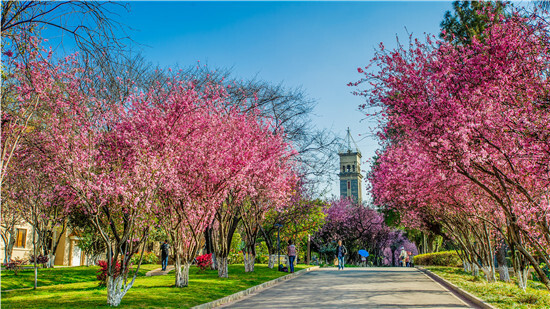 Its engineering, medicine, and agriculture departments were broken up and developed into independent universities such as Kunming University of Science and Law, Kunming Medical University, Yunnan Agricultural University, and Southwest Forestry University. In 1958, YNU was put under the administration of Yunnan province by the Central Ministry of Higher Education. In 1978, YNU was designated by the State Council as one of 88 key universities across the country. Since the implementation of reform and opening-up, the university has made great progress. In 1996, YNU became one of the first universities to make it into the 211 Program. 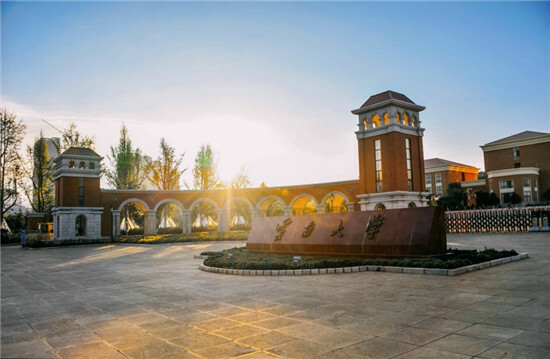 In 2011, the university was designated as a key university in the development of the China Western Development Program. In 2004, it was named a key university to be developed by the Ministry of Education and the Yunnan Provincial Government. In 2006, 19 of the university’s second-level indicators all received an “A” grade during an assessment program on teaching undergraduate students. 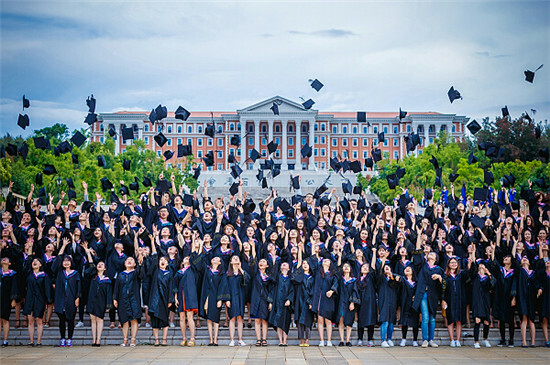 In 2012, YNU was singled out to take part in a project to develop the fundamental capacities of universities in central and western China and a project to develop the comprehensive capabilities of universities in central and western China. In 2016, the university joined the National “One University in One Province” Program. In 2017, it became one of 42 universities that qualified for the Double First-Rate Program, an initiative to develop world-class universities and disciplines. In 2018, it was listed as one of 14 universities in central and western China to be primarily administered by the Ministry of Education, with the local provincial government helping to develop it. Moving forward, YNU will aim to become a world-class university, enthusiastically engage in national initiatives, work toward economic growth and social development in Yunnan province, follow the principles of openness, cooperation, innovation, coordination, progress, and development, and adhere to its philosophy of spreading influence across the province, the nation, and the world. It will continue developing its culture, reforming its mechanisms, and strengthening the university by developing its academics and training professionals. 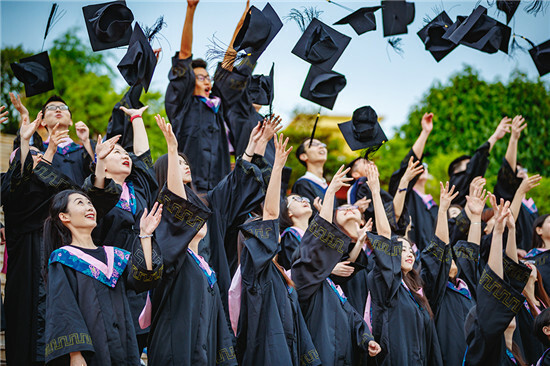 The university will press ahead with programs to train skilled workers and help Yunnan contribute to regional economic growth and social development. YNU has 27 affiliated schools, 14 institutes, one general education department, two independent schools, one affiliated hospital, and one graduate school. It currently has 2,973 employees, 2,740 of whom are technical professionals. Among them, 438 are senior professionals, 854 are sub-senior professionals, and 1,145 hold doctoral degrees. The university has 16,976 full-time undergraduates, 7,595 graduates, and 1,108 doctoral candidates. It has two campuses, Chenggong and Donglu, which occupy an area of 4,363.64 mu (291 hectares) and have more than 1 million square meters of school buildings. The total value of its teaching, research, and information equipment reached over 938 million yuan ($139.77 million), and it has more than 3.7 million library books. The university serves as the Yunnan node of the China Education and Research Network (CERNET). YNU has 86 bachelor’s programs, 12 special national-level programs, four key national disciplines including ethnology, ecology, specialized history, and microbiology, and 52 key provincial-level disciplines. It offers 21 first-level doctoral programs, 42 first-level master’s programs, and 22 professional master’s programs. In the fourth assessment organized by the Ministry of Education, 30 of YNU’s disciplines were placed in the top 70 percent. Two disciplines received an “A” grade (ethology received an “A+” and ecology received an “A-”) and 14 disciplines received a “B” grade. Its microbiology, chemistry, botany, and zoology disciplines made it into ESI’s list of the top one percent of disciplines. YNU has become a comprehensive university engaging in research on ethology, biology, exploitation of special resources, environmental protection, border issues, and international issues, specifically issues related to South Asia and Southeast Asia. YNU considers attracting and cultivating high-level talents one of its key strategies, and as a result, the number of professionals coming to work at the university is increasing quickly. It now has nine academicians, 20 national-level talents, eight winners of the National Science Fund for Distinguished Young Scholars of the Natural Science Foundation of China, two winners of the Outstanding Youth Science Fund of the Natural Science Foundation of China, three winners of the “National Prominent Educators” title, four professors renowned as chief scientists of the National Program on Key Basic Research (973 Program), eight professors listed in the “Millions of Talents Project” by the Ministry of Human Resources and Social Security, one professor included in the “Cultural Experts Project” by the CPC Publicity Department, two professors recognized as “Model Teachers”, 16 faculty members included in the “New Century Talent Cultivation Project”, the “Cross-Century Talent Cultivation Plan” and the “Grant Plan for Essential Teachers from Higher Education Institutions organized by the Ministry of Education”, one winner of the “Award for Outstanding Young Teachers in Higher Education” awarded by the Ministry of Education, four staff members recognized as members of the assessment panel for university disciplines of the State Council’s academic degree committee, six staff members listed on the “Yunnan Leading Talents in Science and Technology” list, 19 people included on the “Yunling Scholars” list, five people recognized as “Yunling prominent teachers”, one winner of the “10th Chinese Young Female Scientists Award”, 13 people included in the “Yunnan High Technology Talent Attraction Program”, 123 people recognized as “Yunnan Middle-Aged and Young Leading Talents in Academics and Technology” and “Technical Innovation Talents”, 41 people recognized as “Yunnan Talent Reserves for Leading Young and Middle-Aged Talents in Academics and Technology”, 17 people recognized as “Leading Teaching and Research Talents at Universities and Colleges”, four people recognized as “Prominent National-Level Teachers”, 25 “Prominent Yunnan teachers”, 20 workshops for “Prominent Yunnan Teachers at Universities and Colleges”, four national-level teaching teams, 11 provincial-level teaching teams, one ministry-level innovation team, 14 provincial-level teams, eight Yunnan scientific innovation teams at universities and colleges, and 21 Yunnan innovation teams in philosophy and social sciences. The university considers developing academics as its primary task, and it has made some remarkable achievements in this regard. It has undertaken two National 973 Program projects, four National 863 Program projects, two National Water Pollution Control and Treatment Science and Technology Program projects, one National Key Research and Development Program project, two National Sci-Tech Support Plan projects, 18 Major Bidding Program of the National Social Sciences Foundation projects, four Ministry of Education Major Social Science Program projects, two Marxist Theory Research and Development Program projects, four National Social Science Foundation Achievements Library Program projects, and two “new engineering” research program projects. 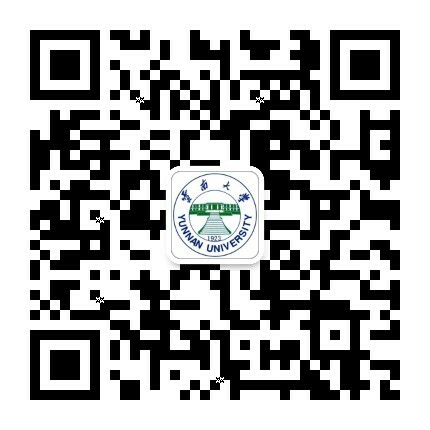 YNU has been awarded first place in China’s National Natural Science Awards, first place in the National Universities’ Outstanding Achievements in Social Science Awards, and second place in the National Science and Technology Progress Awards for its academic research. It has also won three Outstanding Contribution Awards and three Special Awards of the Yunnan Science and Technology Awards. A total of 14 papers by YNU scholars have been reported by internationally-renowned periodicals Nature and Science. The university has launched a number of periodicals, among which Battlefront of Thinking was singled out as one of the 11 best periodicals by the Ministry of Education. YNU has one key national laboratory co-built by Yunnan province and the Ministry of Education, an international joint research center, an international joint research laboratory, one national demonstration institute for technology transfers, two ministry-level key laboratories co-built by Yunnan province and the Ministry of Education, 10 key provincial-level laboratories, 10 workstations for academicians and experts, 19 mobile stations for post-doctoral studies (five of which are provincial-level), two provincial-level training centers for high-tech professionals, nine provincial-level international joint research centers, six provincial-level engineering research centers (engineering laboratories), five provincial-level coordinated innovation centers, two provincial-level public technology service platforms, 12 key provincial-level university laboratories, four provincial-level university engineering research centers, one national training and promotion center for Linux technology, one key national research center for social sciences, one national cultural research center, one China-Africa Institute of the China-Africa Think Tank 10 + 10 Partnership Program, one comprehensive institute linked with the Ministry of Education for poverty-relief work in western Yunnan border regions, seven Key Yunnan Research Centers for Philosophy and Social Sciences, two provincial-level research institutes, seven Yunnan university new-type think tanks, one national cultural education center for college students, one national counseling center for policymaking, four national training centers, four demonstration centers for experimenting and teaching, three projects for the national engineer training program, one national training center for outstanding legal practitioners, four national experimental training centers, and one national software demonstration school. YNU was listed as one of the first demonstration universities recognized for their strength in entrepreneurship and innovation. It has two ministry-level and two provincial-level innovation and entrepreneurship centers. YNU has been sparing no effort to boost economic growth and social development. It is responsible for translating the book Xi Jinping: The Governance of China (first and second volumes) into five foreign languages, including Burmese and Laotian, and for publishing and promoting the translated versions. Its research on the ancient map of the South China Sea provides material evidence for China in disputes over the South China Sea. The university’s research on dealing with arsenic pollution in Yangzonghai Lake, as well as on cross-border ecological safety and international rivers, has helped provide answers to real problems. Its report on the China-Myanmar oil and gas pipeline and China’s energy safety and its research on the South-China Silk Road Economic Corridor were heeded by the central government. YNU has also made significant contributions in treating polluted high-plateau lakes. Moving forward, Yunnan University will adhere to the principle “Wisdom from many, justice for all”, and continue working to improve its training, research, social services, cultural inheritance, innovation, and international cooperation capabilities, with the aim of becoming a world-class university with a high degree of influence in South and Southeast Asia.